﻿ Hotel Channel Management 101 There is a lot of confusion regarding channel management. ‘Channel Management’ is an umbrella term for maintaining price and availability across all your online sales channels. If you’re new to our platform and you’re ready to connect to Booking.com or Airbnb, etc, you should start by reading this post. The terms ‘availability’ and ‘room inventory’ will also be used interchangeably throughout this document to refer to the number of each room type available for a given date (for an explanation of the term ‘room type’ refer to our User Guide). Suppose you have a room listed on two sales channels, Booking.com and Expedia, and you want to list your room at $200 for November 24 on Booking.com, and $220 on Expedia for the same day. You can use your channel manager to update the room price on each channel. If your room sells on Booking.com, your channel manager receives the reservation and tells Expedia that the room is not available on November 24. There are a few moving parts to cover, but that’s basically the workflow of a channel manager: send prices; receive bookings; send availability updates. Next, we cover the relation between the Channel Manager and your Property Management System, but first we cover what a channel manager won’t do for you, as there are a lot of misconceptions about the limits/responsibilities of a channel manager. A channel manager is not a sales channel in and of itself. For example, if you want to sell your rooms on Booking.com, your hotel must have an account with Booking.com. You connect your Booking.com account to your Property Management System through your Channel Manager. The same goes for any other website that sells your rooms. To be clear, your channel manager does not create an account on any third-party website for you, you must have an account to connect. A channel manager will not send photos, descriptions, or update your account info in any way for any of your sales channels. Your channel manager will only send price updates, up to the extent that this allowed by the channel (c.f., ‘Sales Channel Types’), and tell each sales channel how many rooms of each type are available for a given date. Any photos or descriptions offered to buyers on this channel must be added and updated by the hotelier on the channel itself. Updating the meta information in your property management system will have no effect on what appears in the channel. Reservations are made on the third-party website and forwarded to your channel manager. That is, the sales transaction occurs on the third-party site; your rooms are not sold directly to the guest by your channel manager. The amount of information available to the channel manager depends on the sales channel. For example, some channels will forward payment data and others won’t. Some channels require full guest registration, while others may only forward the reservation name and email or phone. This means there is a delay between when a room is sold, when the reservation is forwarded, and how soon your additional sales channels can be notified of the availability update. Because of this, there is always a possibility of overbookings occurring. Different sales channels also have different response times to availability updates. For example, iCal channels like Airbnb limit the number of updates per hour that can sent, so overbookings are more likely these channels (c.f., ‘Sales Channel Types’). A Channel Manager is only one component of a Property Management System. It provides the connection between where you sell your rooms, and where you manage your rooms. A channel manager will not provide a check-in/check-out mechanism, guest registration, performance reports, or assist in the numerous tasks involved in managing your hotel operations. The biggest convenience of a channel manager is that it will deliver your channel reservations directly to your reservations calendar, and help to prevent overbookings across your available sales channels. API channels provide a mechanism for a channel manager to speak directly to their inventory and sales system. Reservations are delivered directly to the channel manager by the sales channel, and availability updates can be sent to and updated on the sales channel with almost no delay. API channels include Booking.com, Expedia, Orbitz, etc. There are typically older websites that specialize in selling rooms in hotels, resorts, etc. iCal channels, as their name implies, work based on checking and updating an internet calendar associated with a room. The sales channel will offer rooms based on the information in the calendar, and new reservations are entered in the calendar to be fetched by the channel manager. The iCal sits between the sales channel and the channel manager. Because of this, there is more latency in the communication and more chance of an overbooking. Also, iCal channels don’t allow price updates to be sent by a channel manager—you need to log in and update price information for your rooms by hand. iCal channels include a lot of the newer websites specialized in non-traditional hotels and vacation rentals, like Airbnb and HomeAway. Another distinction between API and iCal channels is the availability of Rate Plans. Rate Plans allow hoteliers to sell their rooms at various prices based on package deals, such as including a breakfast or shuttle transportation. 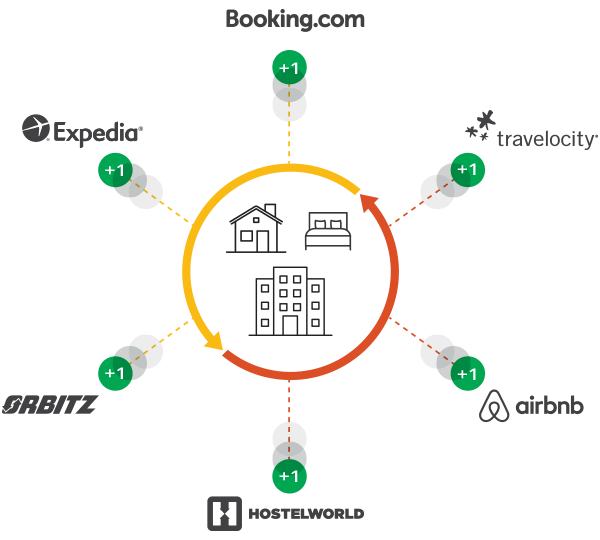 API channels usually allow hoteliers to offer their rooms along with a rate plan, while iCal channels only allow hoteliers to offer their rooms ‘as is.’ The distinction between API and iCal channels is due in part to market associated with each platform. API channels serve the traditional hotel market, where rooms are sold at various prices and at high volume, while iCal channels cater to the new ‘share economy’ where both sellers and buyers have simpler needs. A third type of channel, which won’t be discussed in depth here, is the meta search channel. Meta search channels, like Trivago and Kayak, aggregate search results from a collection of OTAs. When a guest searches for a date range, the meta channel searches the available OTAs and orders rooms, usually by price, to be presented to the buyer. The buyer is then referred to the selected sales channel to make their purchase. The same room can appear multiple times, as the results are gathered from a variety of sources. An exception to the two previous points is TripConnect by TripAdvisor. TripAdvisor is both a meta search channel and a full OTA; it searches various sources, but also has rooms of its own to offer. TripAdvisor is also unique in that it offers rooms that are available at the moment of purchase. This channel communicates with the channel manager at the moment of purchase to guarantee availability. It is also unique in that it passes the transaction onto the seller. The final reservation may occur in your own booking engine. Moreover, TripAdvisor collects updated photos and descriptions along with availability data, so updating this information in your property management system will also update it in this channel. Finally, there is your most important channel: your booking engine. Your booking engine is an online sales channel, or OTA, though people tend not to think of it in this way. Your booking engine offers the most accurate price and availability information to guests, and it’s commission free. When your channel manager updates your inventory across your full set of OTAs, it also updates this information in your booking engine. On the left is the Property Management System. Your PMS is the final authority on what rooms are available on a given date. A room that is not available locally in your PMS for a given date cannot be available anywhere else. Your PMS is the Central Reservation System (CRS) for the entire process. For the purpose of this discussion we ignore room pricing, as pricing may vary from channel to channel, but availability should be the same across all your channels. Next is the Channel Manager. The Channel Manager responds to availability updates from your PMS and communicates this information to your full set of sales channels. You may ask why the property management system holds the CRS and not the channel manager. This is really a conceptual distinction, as the PMS and Channel Manager work closely together as part of the same software suite, but since the hotelier has the final say in whether or not a reservation can be accommodated, it’s better to think of the PMS as holding the definitive information on room availability. For example, suppose the same room is booked seconds apart on two separate channels. The channel manager offers this information to the hotelier through the PMS, and it’s up to the hotelier to decide which reservation to accept and which to reject. Due to the latency between each part of the pipeline, the channel manager can only pass information along in each direction and hope there are no collisions. Next is the Allocator. The allocator is the mechanism that deals with passing reservations data along to the Channel Manager and delivering availability updates to your full set of sales channels. As we mentioned previously, availability updates must be passed along individually to each of your sales channels, each in its own way, and new reservations must be received, or in some cases fetched, from each channel individually. Think of the allocator as an inbox/outbox that deals only with communicating with each individual channel. This can be a very big task with lots of messages and requests moving in either direction. You might ask why the channel manager and allocator are listed as two separate mechanisms here, and again it’s a conceptual distinction. While the channel manager deals with translating and validating bookings, the allocator is only concerned with sending and receiving messages to and from your full set of OTAs. In the case of an overbooking, it is the task of the channel manager to notify the PMS. The allocator is not concerned with whether information is accurate, only that it gets to where it needs to go. You can think of the channel manager and allocator pair as your buffers between what you see on your screen when you manage your hotel, and what a buyer sees when they search for hotels online. The channel manager speaks mostly with the PMS and the allocator speaks mostly with your OTAs. Finally, the sales channel is the other endpoint of the pipeline. The sales channel receives availability data to present to potential guests, and passes reservations data along whenever your rooms sell. The sales channel has their own data bank of availability for your hotel based on what was passed along by the PMS through the channel manager/allocator pipeline. In some cases, the OTAs information may be slightly old, due to the latency in messages being passed around, and you may receive a booking for a room that is no longer available. In our software suite, the Channel Manager is only available to users with a Premium Subscription. Once you enable the channel manager, you have allocator to choose from: MyAllocator. The choice between the two comes down to which channels are available for each platform. Each allocator has its own set of sales channels that it communicates with, though they both cover the major channels like Booking.com and Airbnb. Allocators require an account on an exterior platform, however through our premium partnership with TripAdvisor, your TripAdvisor account is free with your Premium Subscription to Bellebnb. On either platform you must define your set of available rooms to connect directly with each of your sales channels. Think of the rooms on this platform as individual inboxes used to route availability information between your PMS and the sales channel on the other end. 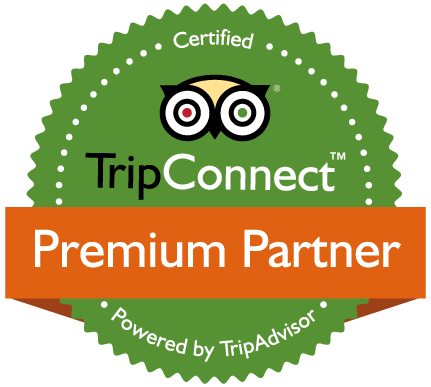 Your connection to TripAdvisor is done directly through our channel manager, as previously mentioned. Despite the somewhat epic length of this article, channel management is quite simple. Once you have setup your channel connections, you never have to think about it again. New bookings come in to your reservations calendar, and you can use your pricing calendar to update prices on your available sales channels. The only bit of work required is resolving the occasional scheduling conflict. As mention above, there is some latency in between each of the moving parts of the system, not the least of which are the sales channels themselves, which receive pricing and availability updates from hundreds of thousands of sources at every minute, so overbookings do occur every now and then. In this case you will get a ‘Channel Error’ in the Front Desk notifying you that you need to resolve an overbooking. Usually you can just move an existing reservation into another comparable, available room to accommodate the newly received booking. In the case where your hotel is fully booked, you may have to reject the new booking. To connect to your sales channels once you have signed up for a Bellebnb Premium account, you just need to decide which allocator you want to use, then setup your rooms with the selected allocator. After you have linked your TripAdvisor or MyAllocator account to your Bellebnb account, you can connect to your sales channels.